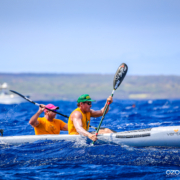 In 2017 Kai Bartlett and Mike Giblin got together to discuss a new project, to build something new, but not a canoe. 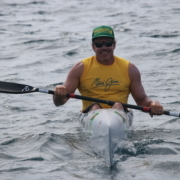 The idea was to take the lessons learned from canoe building and apply to a new vessel, a different sport entirely. 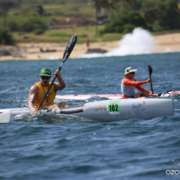 Kai Bartlett is known for his canoe designs and paddling accomplishments, with 5 Kaiwi Solo World Championship titles as well as 9 Molokai World Championship Relay titles, but he also loves the sport of Surfski paddling. 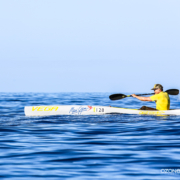 The Surfski, a sleek single hull that requires finesse, technique and a powerful cardio system to maintain speed. 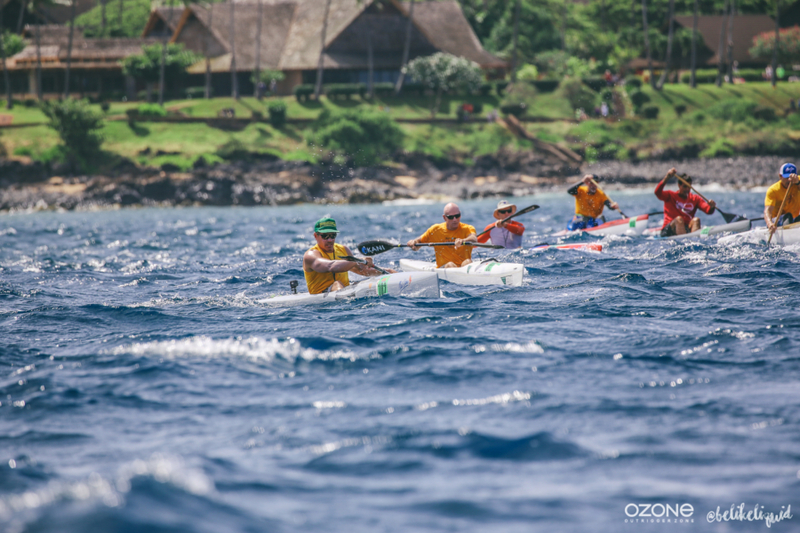 Moving from the canoe paddle to the wing blade allows a variety in movement and application, all of which bring positive attributes back to OC1 paddling. 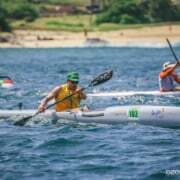 Together with his top team rider, Pat Dolan, Kai has competed and placed well in Surfski races, such as the Molokai Challenge, Maui Paddling Hui and Kanaka Ikaika race circuits. 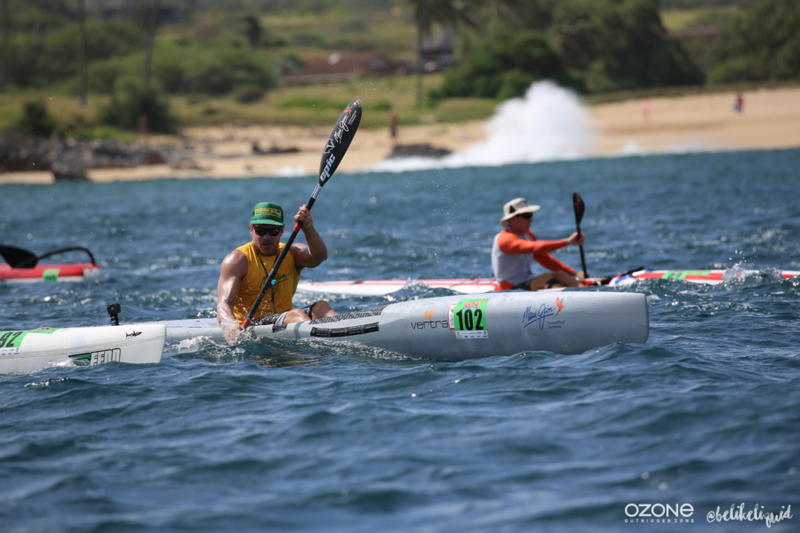 As Kai paddled different Surfski models and expanded his skills, something happened, his boat designer brain kicked in. “What about a bit more this, and little less that?” It was a scratch that needed to be itched. Mike Giblin also got bit by the designer bug. 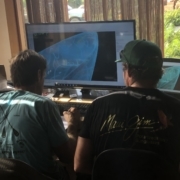 And as Kai began the hand shaping process, Mike began exploring the parts and other features unique to Surfki. 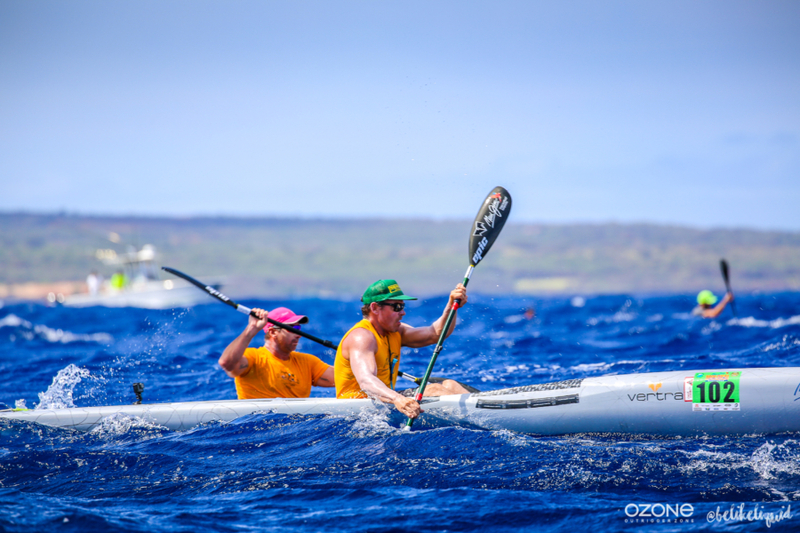 Once the research was done, both Mike and Kai agreed that there was something the Outrigger world could offer to Surfski. From the beginning, Mike, Kai, and Brian decided they would do things in the way they know how, but also, they would be open to new ideas and methods. It made sense to keep this project quiet, as there was a lot to learn. As with all Ozone Built products, we constantly troubleshoot and improve the process, materials and methods. The adjustable foot brace and venturi system would be new to us. 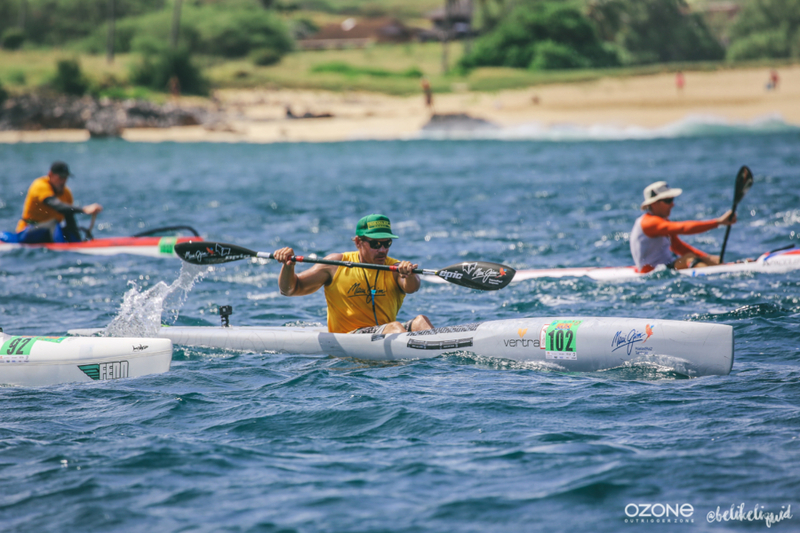 As well, Surfski’s are generally thicker and take more abuse then OC1, so we would need to adjust the layup to accommodate handling. 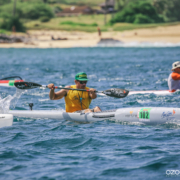 The goal was to build a Surfski that would prove itself on the water, be tough and durable, and we would find ways to do things that are progressive and intelligent. The first part of the year was spent testing and improving the prototype. Next, the team went to the computer to digitize and continued tweaking. Brian got to work on tooling, fabrication, building the mold, and experimenting with parts. The Vega was coming together. 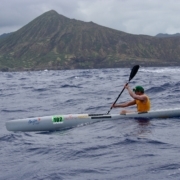 You might have noticed, all of Kai’s ocean craft are named after stars. The Vega is no exception. The ‘original North Star’. Fun fact; Vega is a bright star located just 25 light-years from Earth, visible in the summer sky of the Northern Hemisphere. Because the Earth’s axis wobbles, our perception of north gradually shifts to different stars over a 26,000-year cycle. 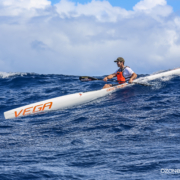 Vega was the North Star several thousand years ago, and it will regain that status in about 12,000 years, at which time, we might be paddling on Mars, or Jupiter. 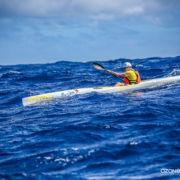 Kai’s inspiration behind the stars is drawn from the fact that the ancient Hawaiian’s traveled the ocean on canoes, guided by celestial navigation. The Manu Iwa (frigate bird), in the Kai Wa’a logo is also part of his company philosophy, guided by nature, guided by the stars. 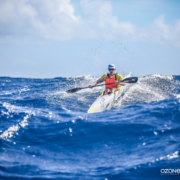 Designed to excel in ocean swells and downwind conditions. Plumb bow, sharp entry, ample rocker, stability where needed. 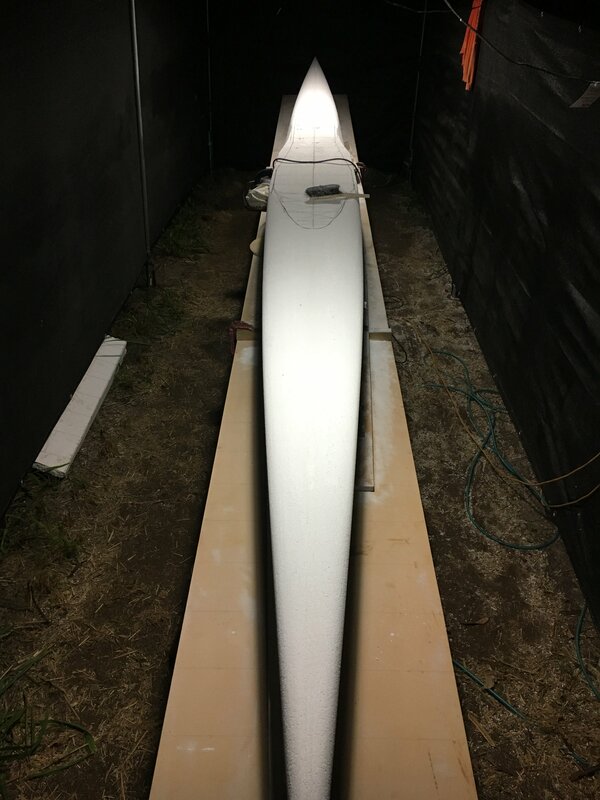 Optimized hull for acceleration and carry in flat water. Lighter, stronger, faster. 100% carbon fiber prepreg, single piece construction. Triple Carbon! 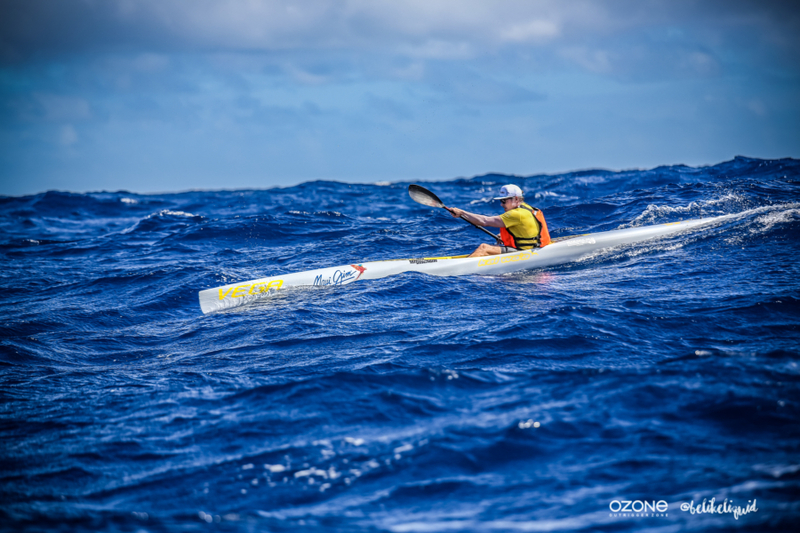 Reinforced center section; from 1 foot forward of the cockpit to 1 foot behind the cockpit (1/3 of the surfski), we have added triple carbon for added strength & durability. 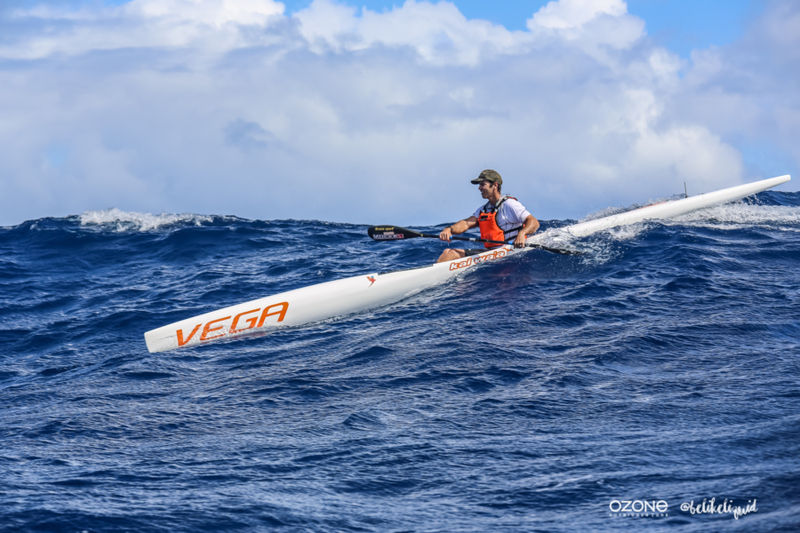 The Standard Performance Vega weighs in between 20-21lbs. This is our standard performance model, 100% Carbon. Color options can be customized via the OIS designer. Quick Stop Venturi drain system is spring loaded to close the drain quickly by bumping the handle. Light and minimal, adjustable foot brace steering system. *See below for the first generation grid plate system vs updated hand clamp system. 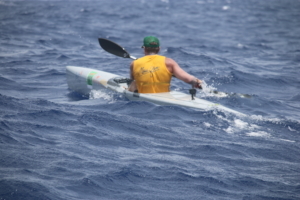 Automatic center return rudder. A feature introduced with the Ares OC1, the automatic center return spring system also comes standard with the Vega. Comes with the standard cover bag. 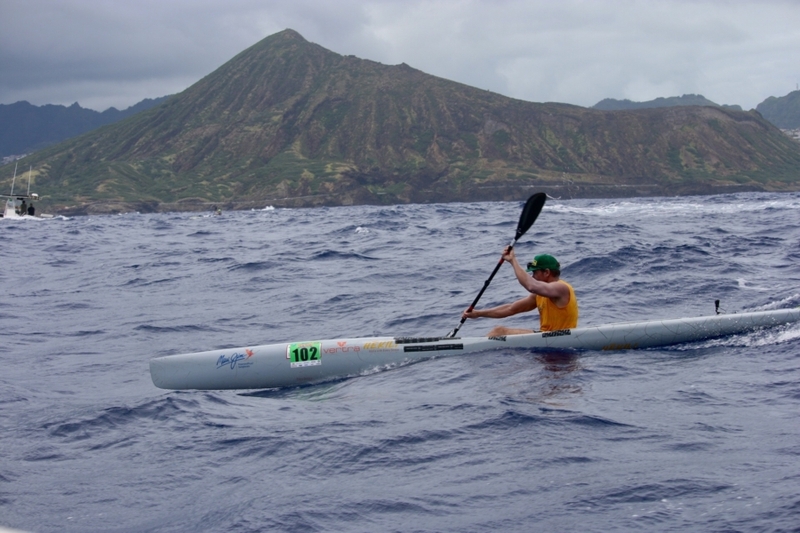 The Kai Wa’a Vega Surfski has great utility and is well balanced in all important aspects of Surfski paddling. 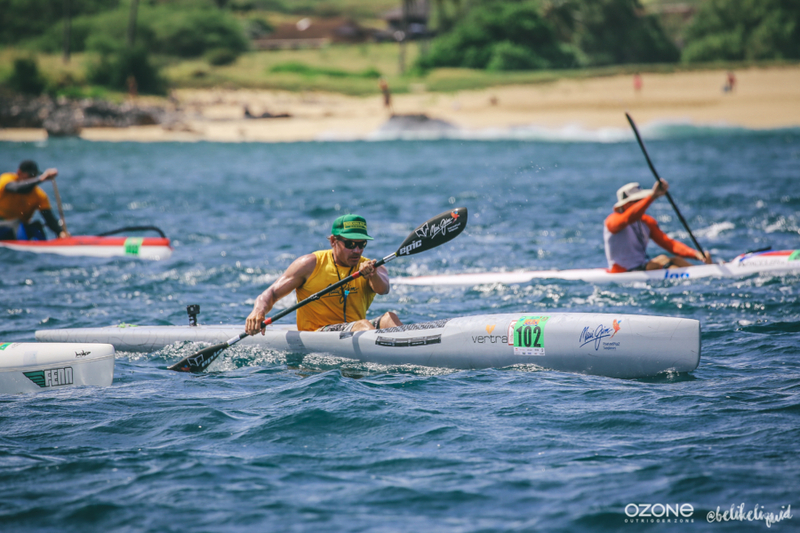 The technology used for the construction of the Surfski gives a paddler the lightest ski with unbelievable strength and durability. 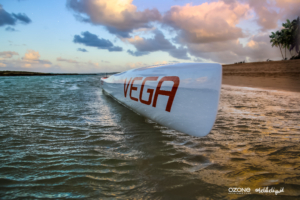 The Vega, in all surfing conditions, sits perfectly on top of swells allowing for efficient surfing, while also allowing for easy ability to push up and over any bump in front. 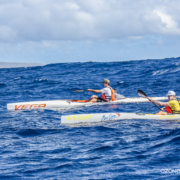 The boat has great surfing balance, in allowing a paddler the flexibility to maneuver in any direction while also holding its line when needed. 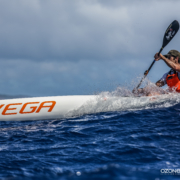 The Vega is easy to accelerate in the flat water and holds speed while gearing down into lower intensities. 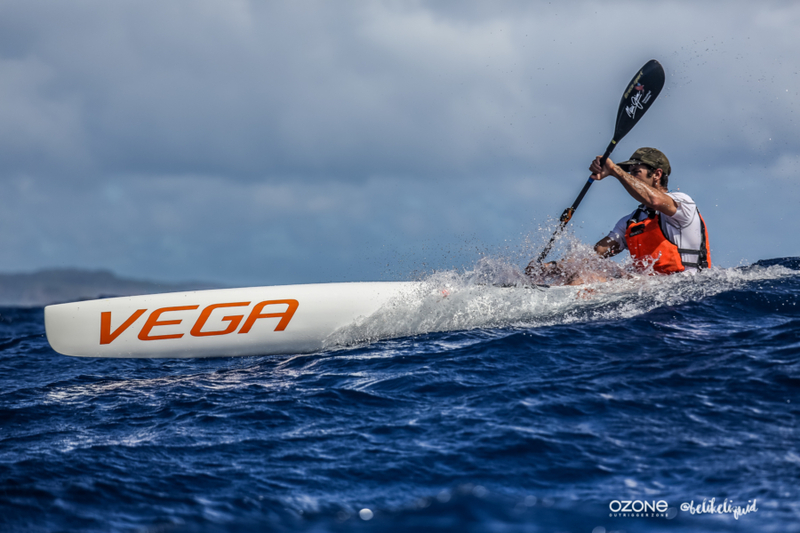 The paddler sits lower in the Vega which adds stability and additional control for directing the boat with the lower body. 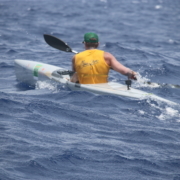 The lower sitting position is very comfortable with the foot pedals positioned to still feel like you are sitting above your heels allowing for great leg drive and body position. 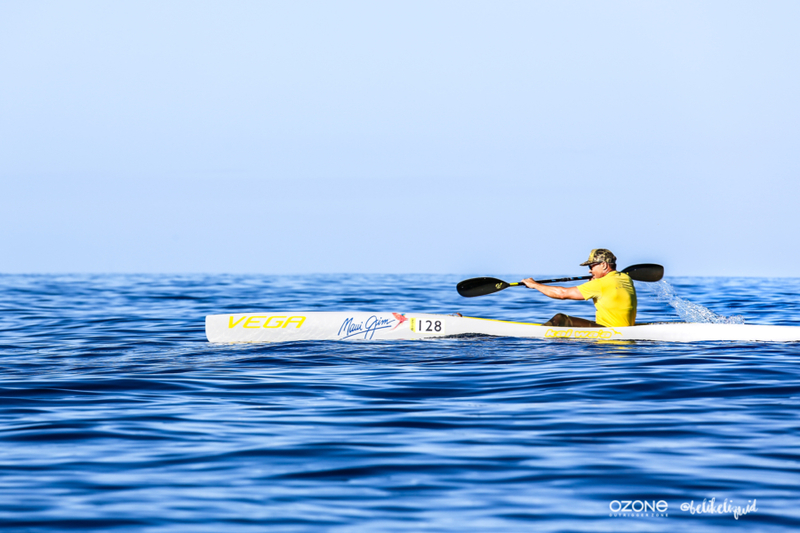 The Vega is well rounded for the high performance paddler and the average surfski paddler, looking to move up on the results. The performance and quality I’ve been wanting from a ski for a long time. A new standard for lightness and strength. Extremely stable for an elite ski that runs bumps as good as any ski has. Being that I’m only 165lbs. I have found that the Vega allows me to work it how I choose. 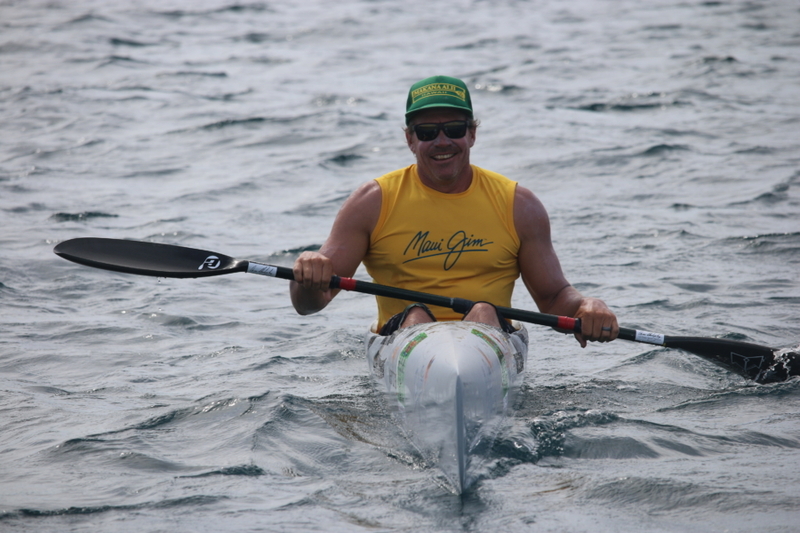 I can pull over runs with little effort and surf easily while in resting. These are two very important benefits that I can not get out of heavier skis. 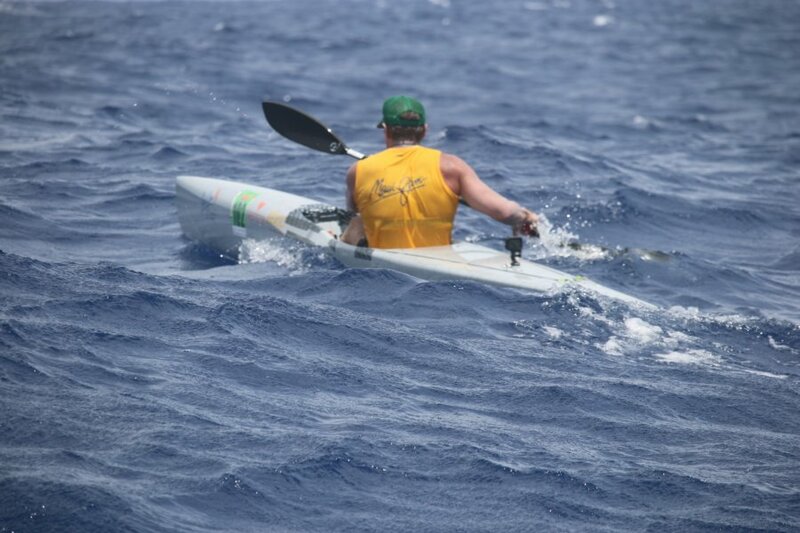 This is only going to improve my downwind surfing. 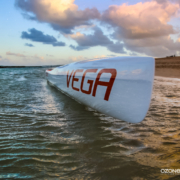 Watching the evolution of the Surfski alongside the evolution of OC-1 was my inspiration in designing the Vega. 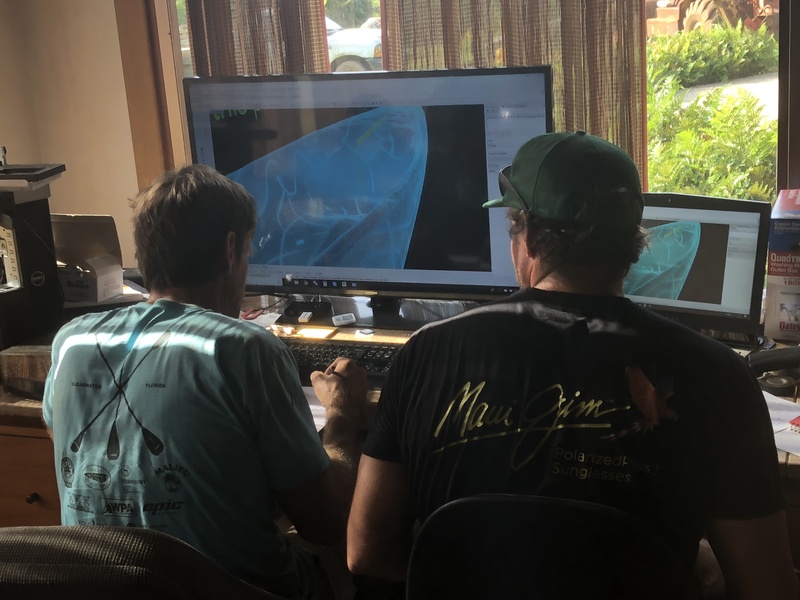 I saw some ideas I liked in a couple older surfskis as well as some of the newer ones, then I took some of the ideas from our most recent OC1 design, the Ares, and mashed them all together to handshape the Vega prototype. 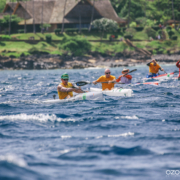 We wanted to have a great all around performing surfski. 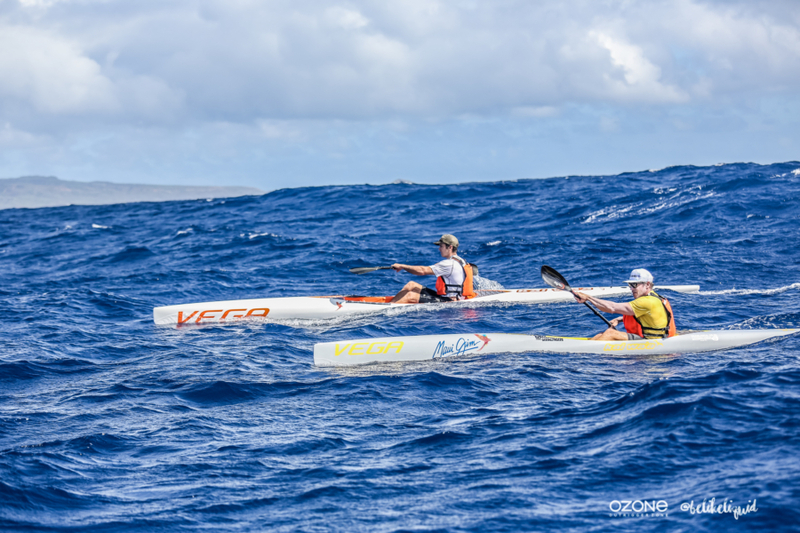 We want it to surf really well in small to big downwind, yet also run smooth and fast in the flat. Something we’ve been working on for years in the OC1 world. 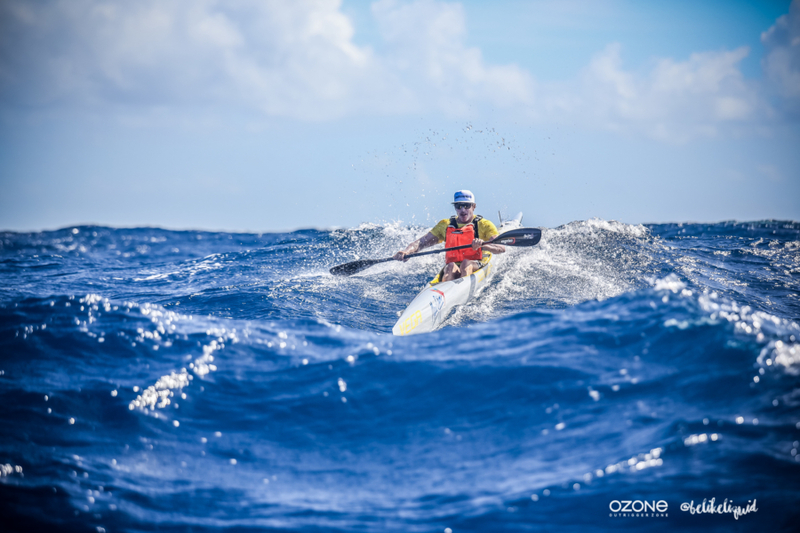 With the construction techniques at Ozone, we can achieve a super lightweight boat with solid quality and durability. Bump it to close the drain. Press back in to spring load and open venturi.